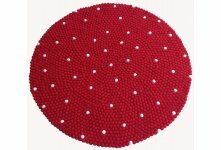 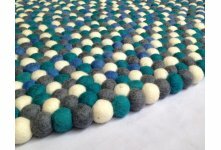 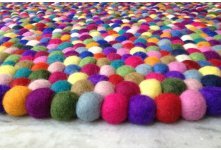 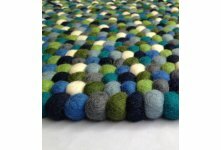 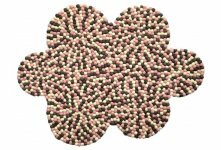 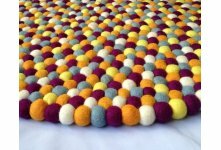 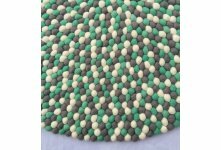 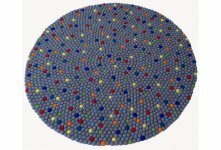 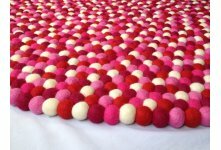 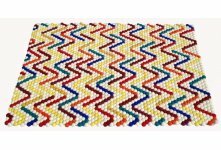 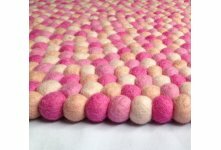 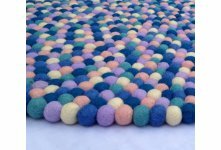 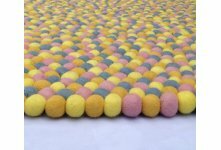 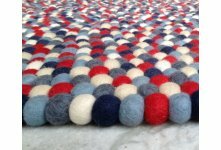 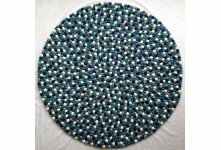 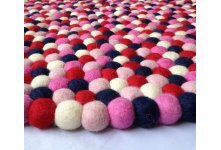 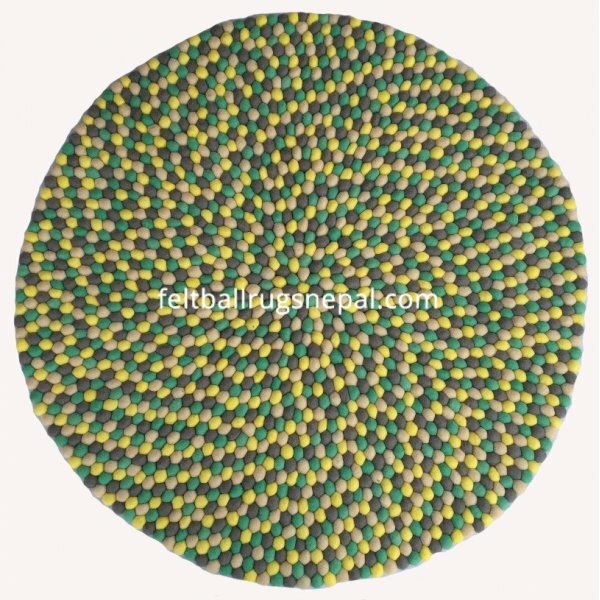 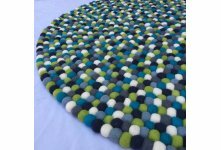 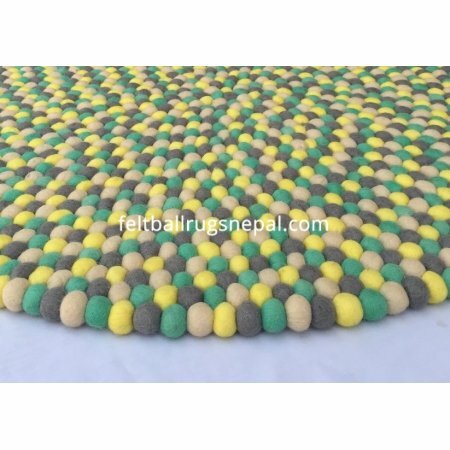 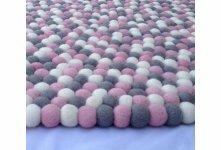 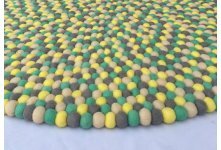 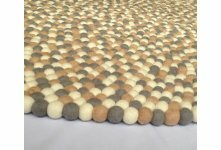 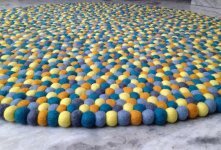 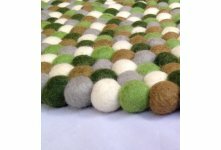 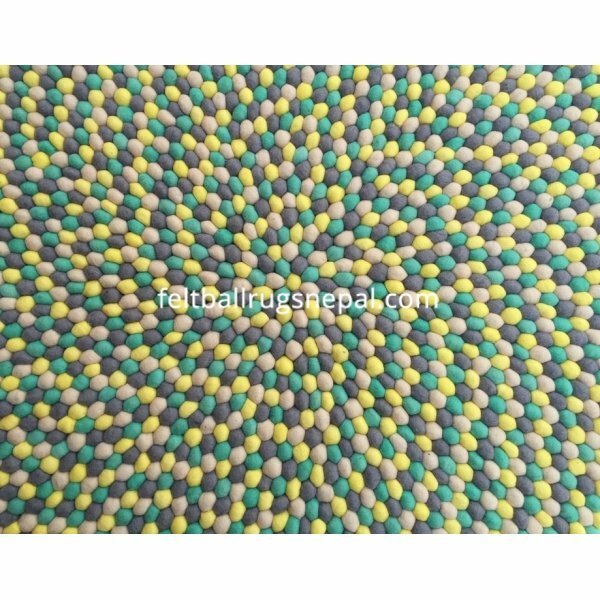 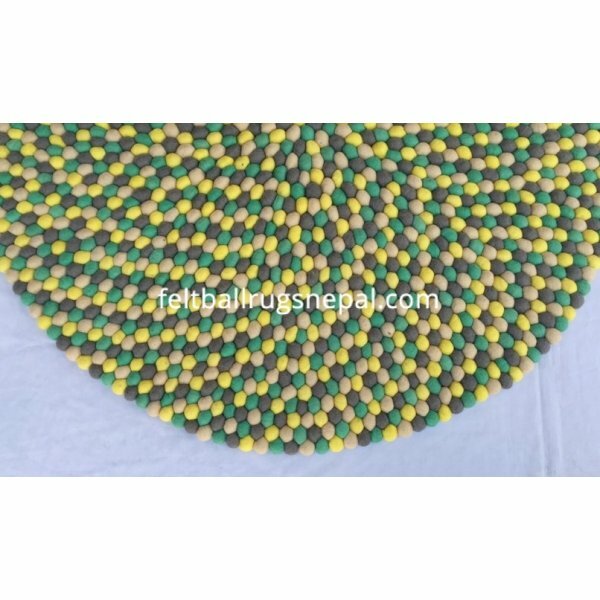 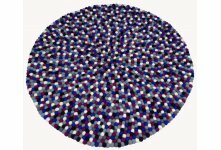 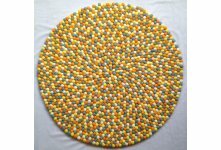 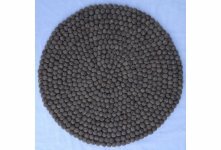 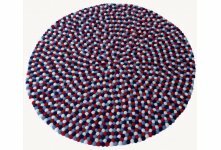 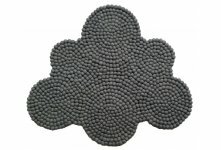 Kelly felt rug, which is one of the best selling felt rug in which each ball is handly sewed by double nylon thread and not glued. 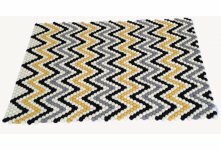 They make your feet comfortable from both sides. 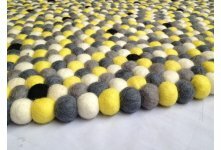 Here you can see the combination of kelly, off white, yellow and light grey. 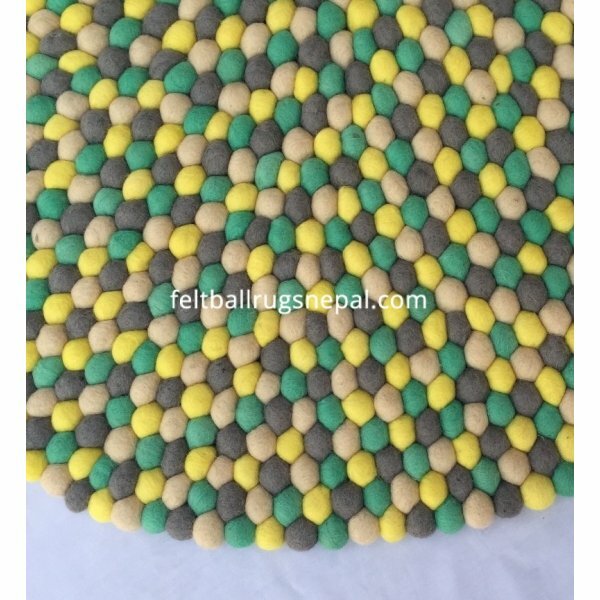 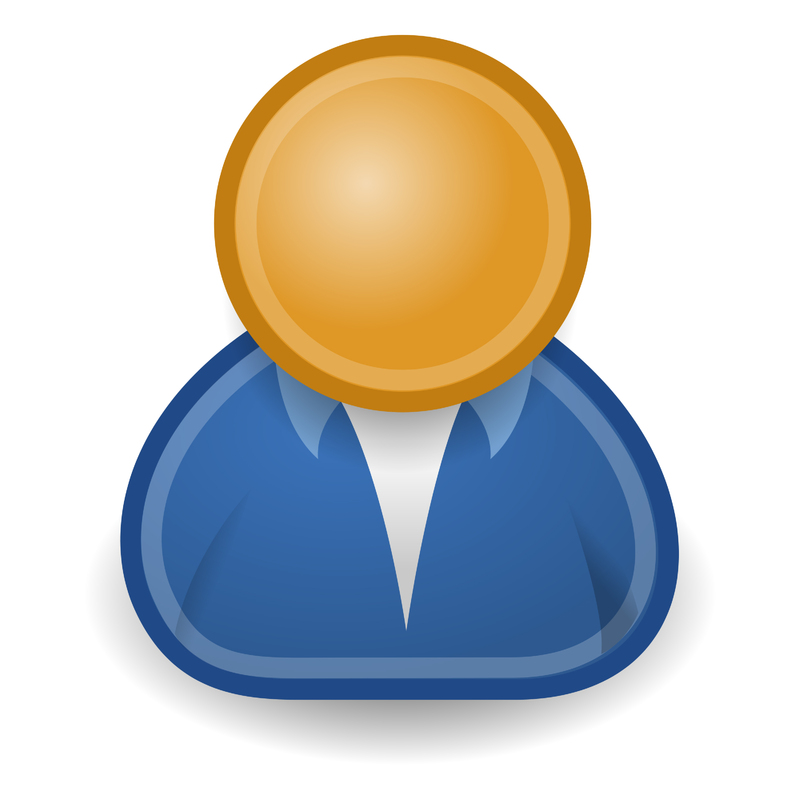 Different sizes are available.